Steve Borden, better known by his ring name Sting, is an American retired professional wrestler, who is currently under a Legends contract with WWE. 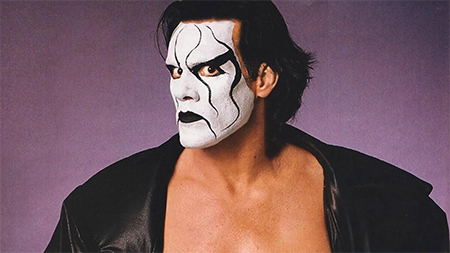 As a singles wrestler, Sting has technically won a total of thirteen World Heavyweight Championships in various promotions, though only ten of these reigns are recognized as "World" title reigns by Pro Wrestling Illustrated. He has held the NWA World Heavyweight Championship two times, the WCW World Heavyweight Championship six times, and the TNA World Heavyweight Championship two times. He is also currently one of the only two people to be inducted into both the WWE Hall of Fame and the TNA Hall of Fame, the other being Kurt Angle. Sting will be joining the Thursday night Wrestling event and will appearing through Saturday.